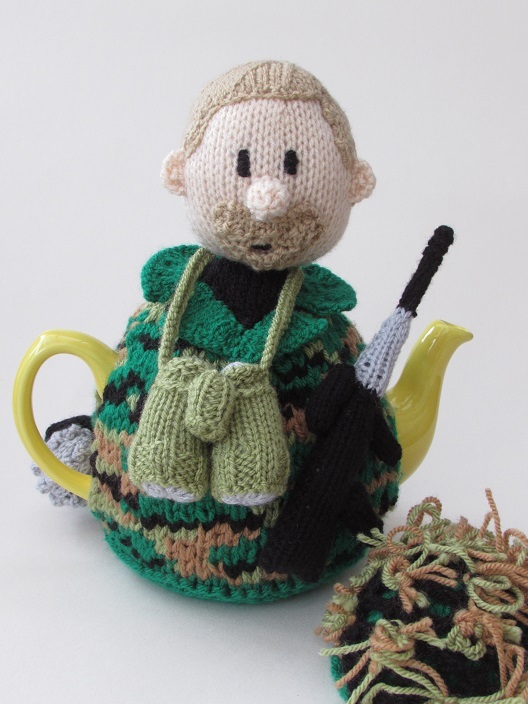 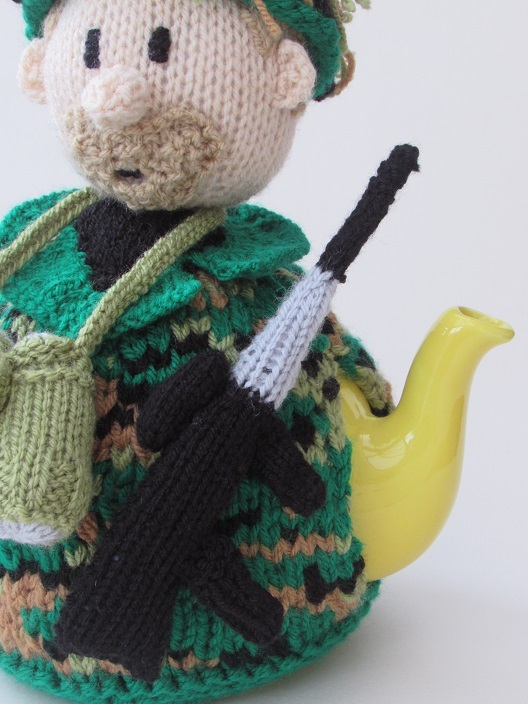 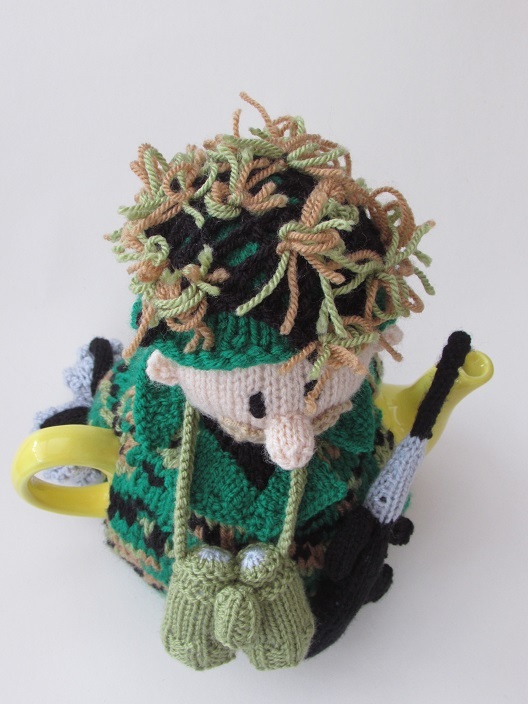 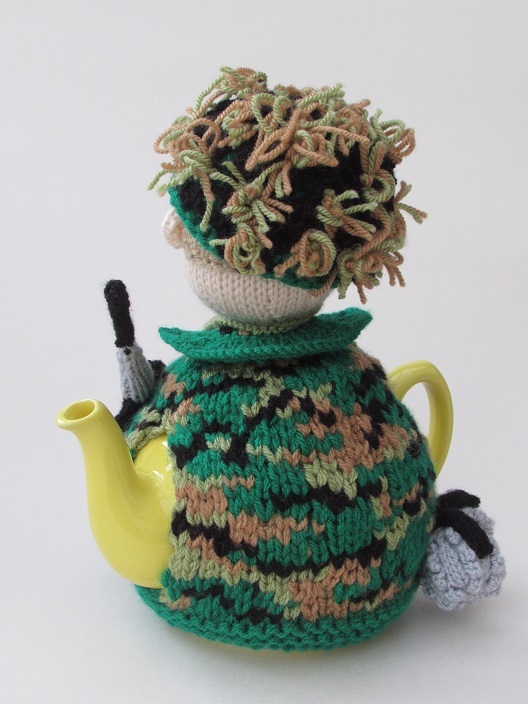 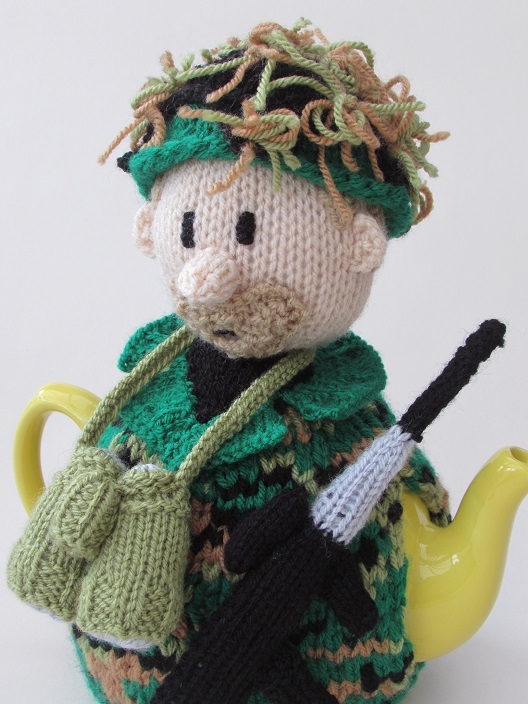 The soldier tea cosy is an exciting new tea cosy that depicts a soldier in camouflage gear complete with binoculars, rifle, a couple of hand grenades and a camouflage covered helmet. 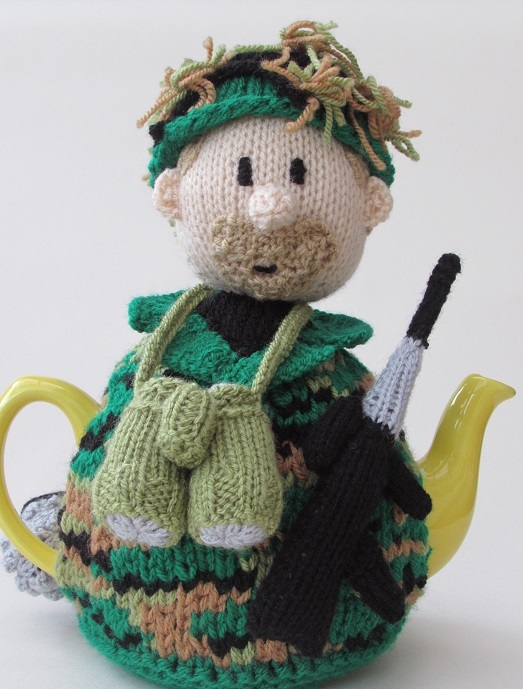 The soldier has a bit of designer stubble and a short back and sides. 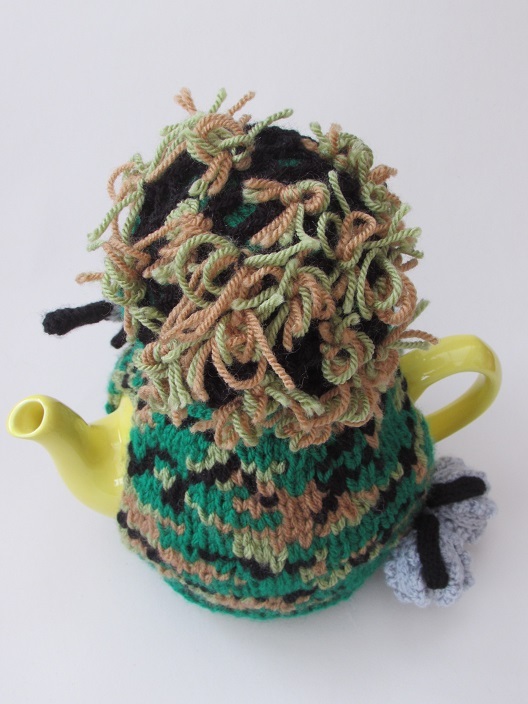 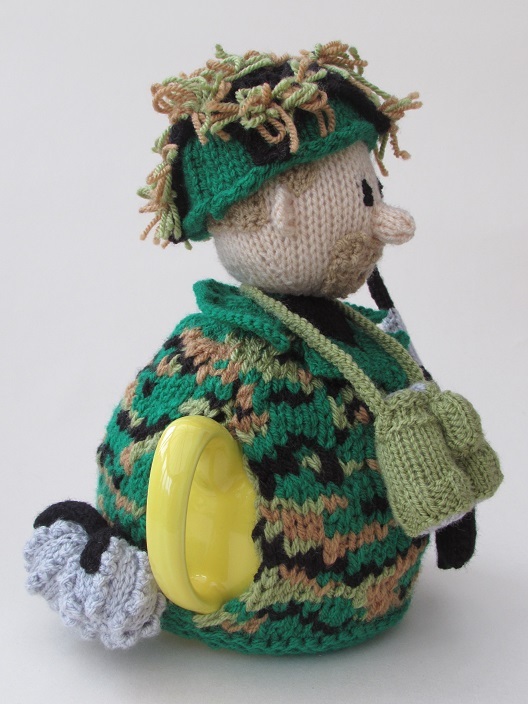 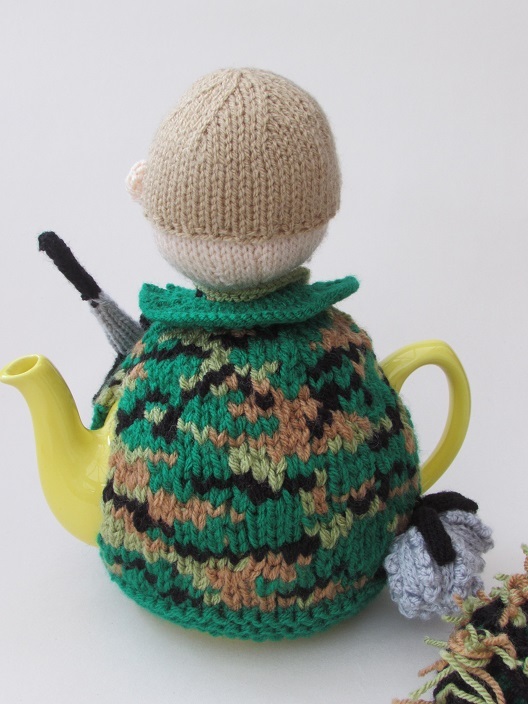 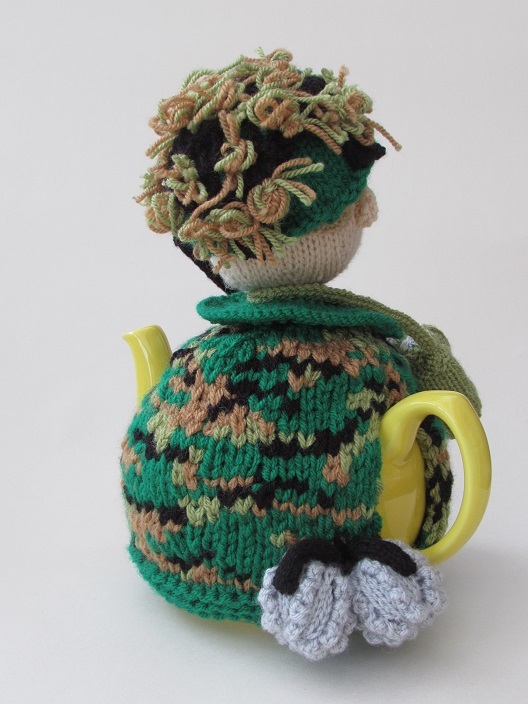 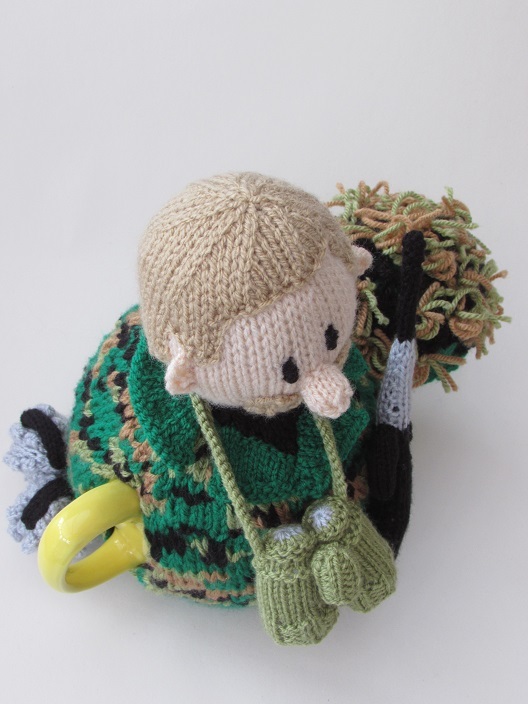 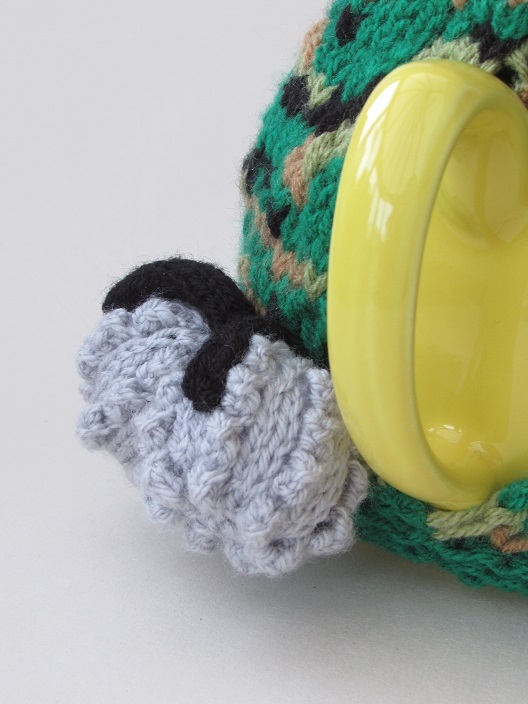 The main body of the tea cosy is knitted in a camouflage print with double thickness green, olive green, brown and black wool. 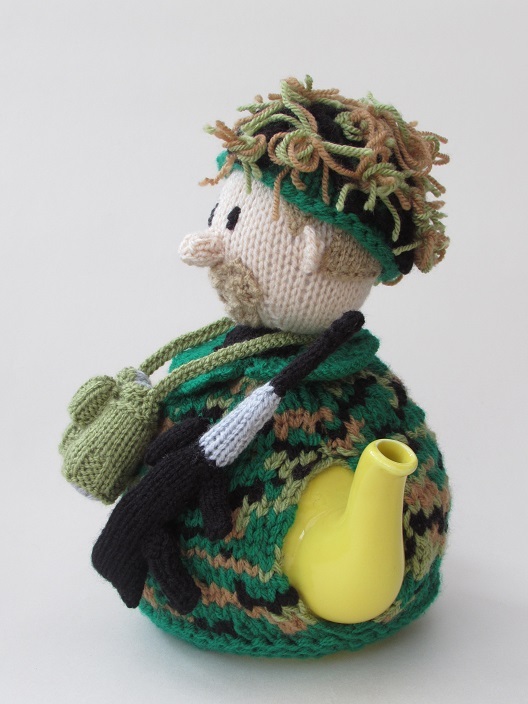 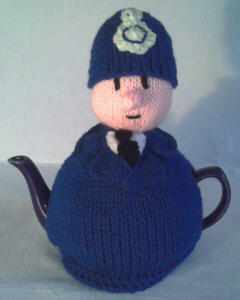 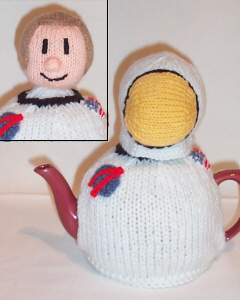 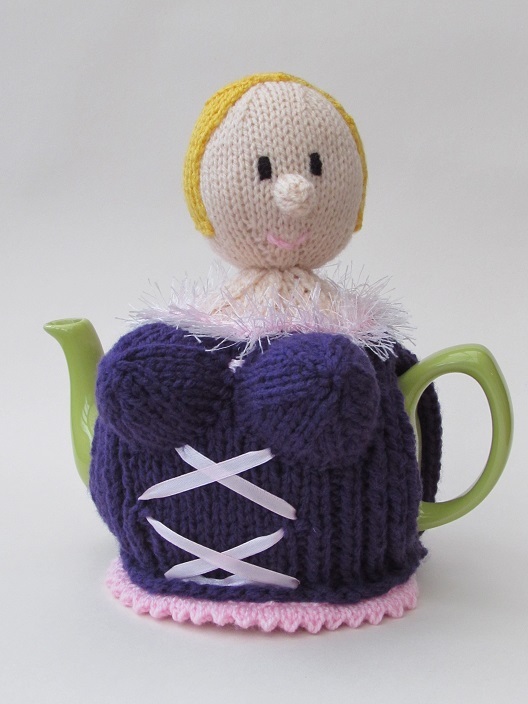 Keep the troops supplied with nice hot tea kept warm under a soldier tea cosy. 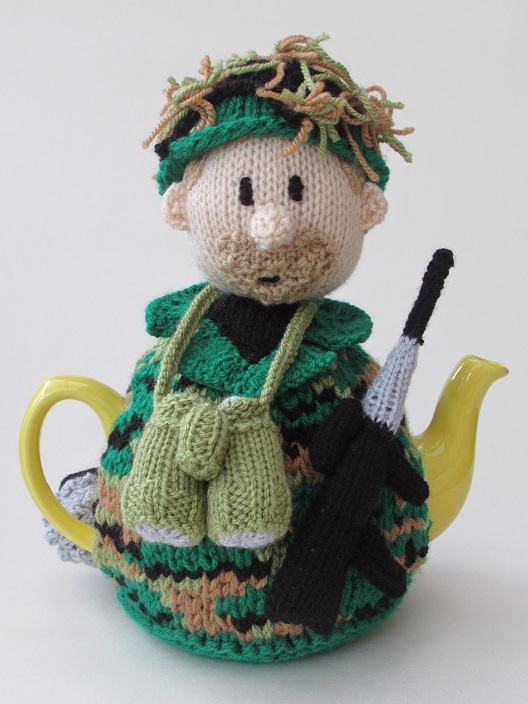 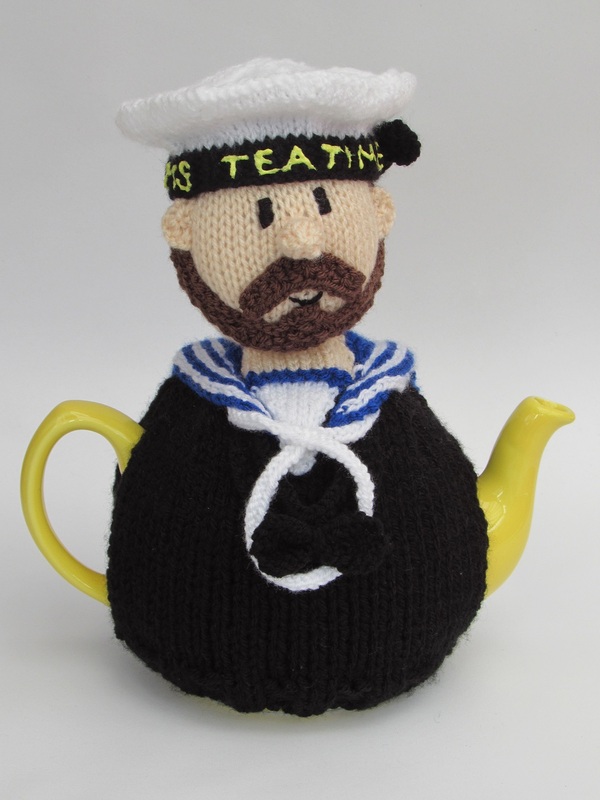 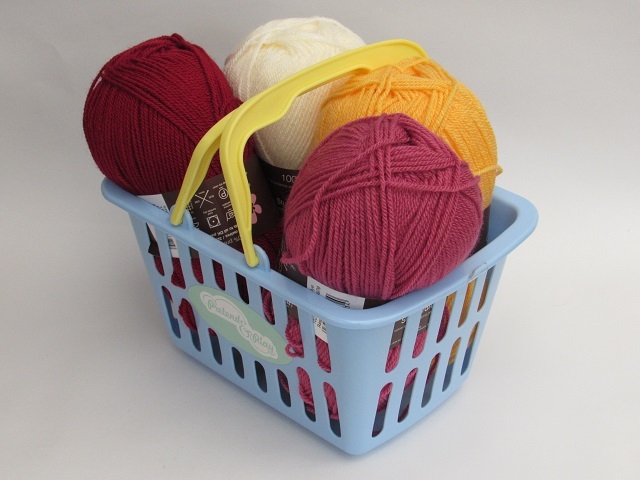 Remember our brave troops every day with the soldier tea cosy.